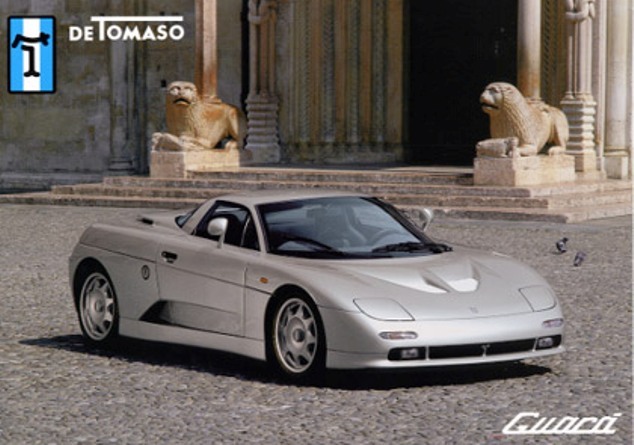 Additional Info: First introduced at the 1993 Geneva Motor Show. Approximately 50 cars were built (around 10 Guara Barchettas and 40 Guara Coupes). 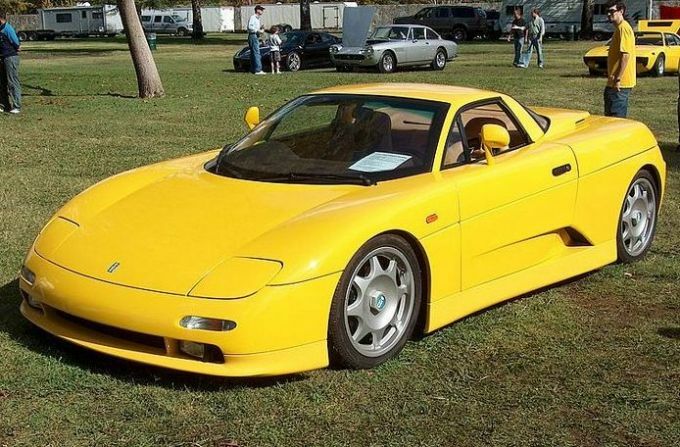 Originally used until 1998 a 4.0 BMW V8 engine with 282+bhp which could get to 60 in 4.8 secs and top 168mph (the whole car weighed around 2650lbs). The BMW engine was then replaced by the cheaper but noticeably heavier 281cu Ford engine, although performance wasn’t really affected according to sources. A supercharged Ford V8 version was prototyped but never produced and put out around 400bhp. 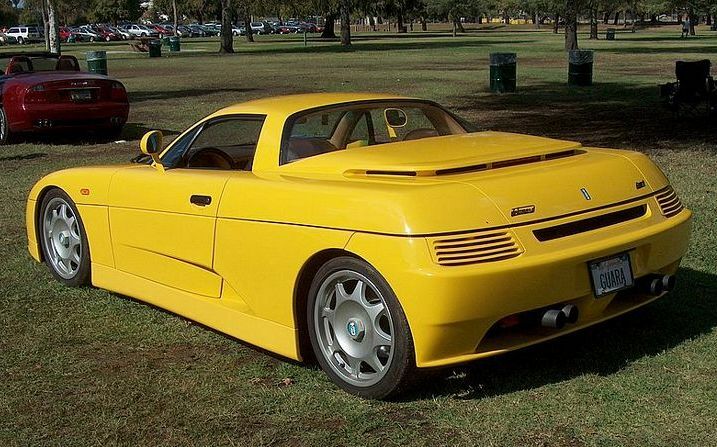 The Barchetta weighed noticealbly less than the Coupes and some Coupes were converted to Spiders by their owners.